BlackBerry posted its fiscal first quarter 2015 earnings on Thursday and showed that, perhaps some of its efforts are starting to pay off on its road to recovery. The company noted $23 million in net income, a large improvement over the $84 million it lost in the same quarter last year. Revenue was down 1 percent to $966 million for the quarter, though that still beat Wall Street expectations. BlackBerry said it recognized revenue on 1.6 million BlackBerry devices, up from 1.3 million units sold in the last quarter. In total, it sold more than 2.6 million devices including shipments that were "recognized prior to the first quarter," however. "We are getting very close to making money or at least break even on hardware," CEO John Chen said on a conference call, according to AP. "Not quite there yet, but close." BlackBerry's services business still makes up a majority of its revenue, about 54 percent, while hardware accounts for 39 percent of all revenue and software/other makes up the final 7 percent. Europe, the Middle East and Africa are still the company's largest markets, with 42.9 percent share of all revenue, where it's still growing despite increased competition from low-cost Android handsets. 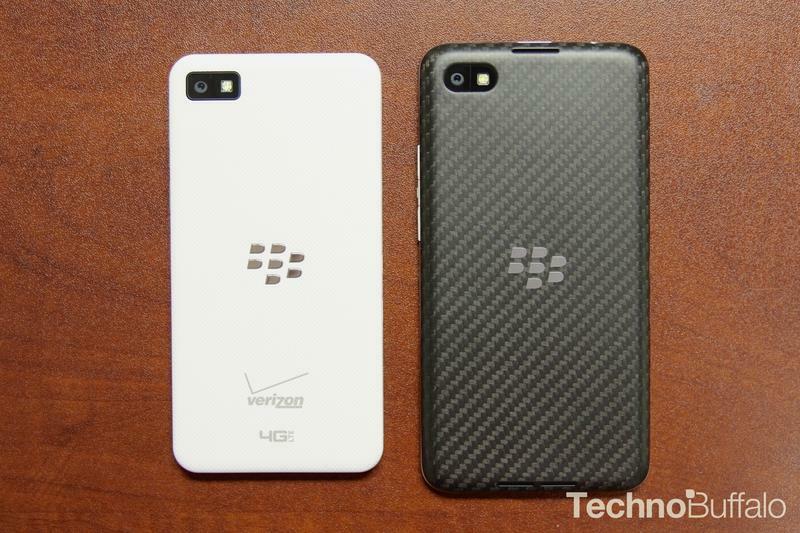 Likewise, BlackBerry saw increased revenue share in the Asia Pacific region (15.6 percent of all revenues). North America sales made up 28.6 percent of revenues, down from 30.4 percent, while Latin America donated 12.9 percent to all of BlackBerry's revenues. Shares of BlackBerry were trading up nearly 12 percent at the time of publication.